Jeff Maskovsky is an anthropologist whose research and writing focus on urban poverty, grassroots activism and political economic change in the United States. 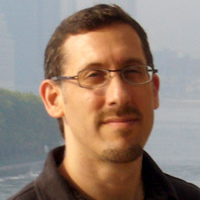 His recent publications include the co-edited volume, New Poverty Studies: The Ethnography of Power, Politics and Impoverished People in the United States (NYU Press 2001), a co-edited special issue of the journal Urban Anthropology on globalization, neoliberal policy, and poverty in the United States and Mexico, and a chapter on neighborhood and global justice activism in Philadelphia for the volume, Reclaiming Cities, edited by Jane Schneider (Blackwell Press, in press). Maskovsky has collaborated with community groups, non-profit organizations and health policy experts to found several innovative community health and HIV treatment education programs targeting youth, sexual minorities, low-income people, and people of color.